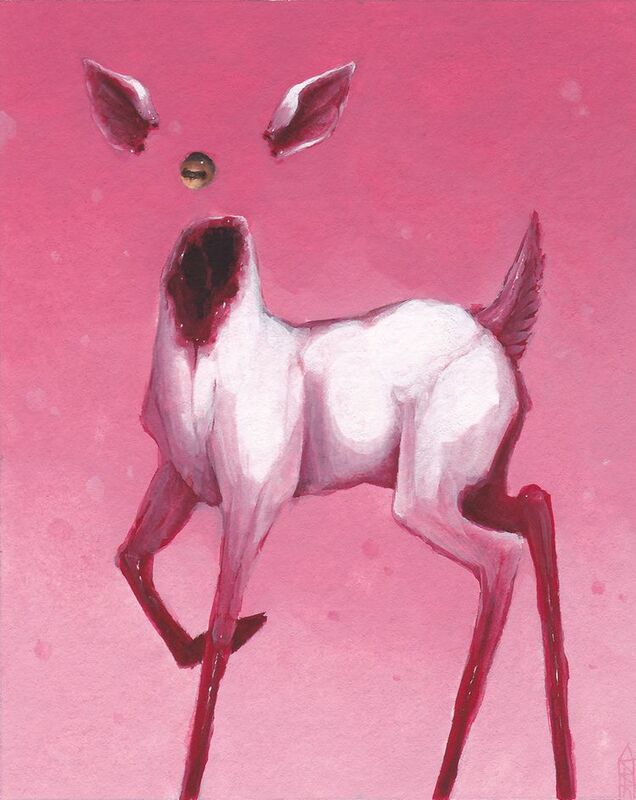 "prnc" by Dusty Ray (aka @sloppjockey_ert) for 'Tiny Treasures.' Gouache on paper, mounted to birch. 5" x 7". Available for $250 at https://helikongallery.com/shop/dusty-ray-prnc-2/.